but is by far, the best smoothie. 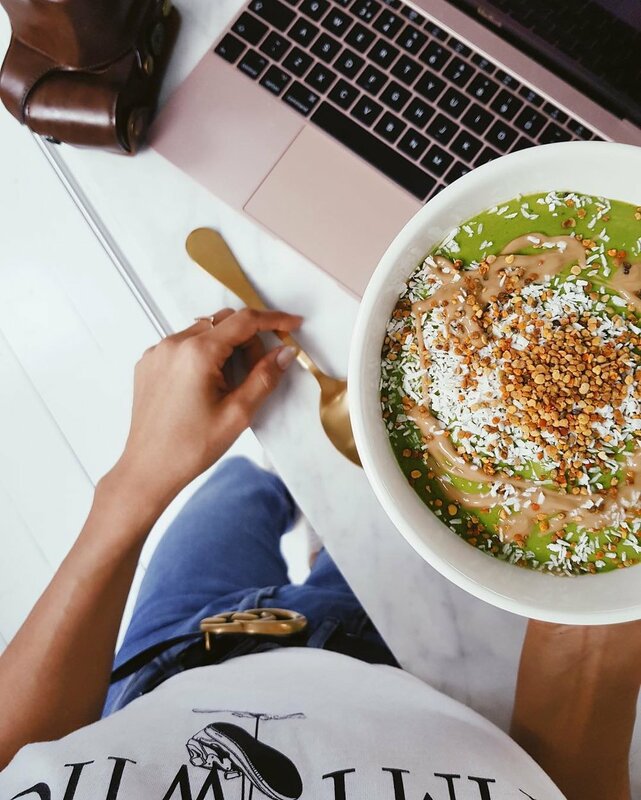 THE BEST GREEN SMOOTHIE BOWL YOU’VE EVER HAD IN YOUR LIFE. | I might have embellished a little on the title but it could be true. Anyway, it when down a treat today and I was excited (borderline frenzied) about sharing it with you. 1 x @mindfulbitesuk Cashew nut and baobab butter stuff that is so yummy I just want to rub it all over my body and dance ceremoniously to the mindfulbites gods and goddesses - because that’s obviously where it comes from - nut butter heaven. Blend up the smoothie ingredients and then top with the listed toppings - not much else to say really - just close your eyes and enjoy every sip/bite/slurp.